One of the greatest names in comedy, Whoopi Goldberg, is bringing her show to State Theatre New Jersey November 16! This iconic satirist paved the road for female African American comediennes with her award-winning performances on stage and on TV. Starring in movies such as The Color Purple and Sister Act, and being a co-host of ABC's The View, Whoopi has touched the lives of many with her ability to perform for any audience. Goldberg started her career in a one-woman show that broke down the limitations of what a comedienne was supposed to be, while also addressing the issue of race in America. Early on, Goldberg found her influence in the late Moms Mabley, a queer, female, African American comedienne from the 1930's. At the time, Goldberg was the only African American comedienne in her city, San Francisco. After portraying Mabley in a show that she did with the San Diego Repertory Theater in 1974, she won the San Francisco Bay Area Theatre Award. This award was the start of her comedy journey, which she then took to Berkley California to join the Blake Street Hawkeyes Theater comedy troupe. While in Berkley, Whoopi began to create 17 personas which she later turned into her own one-woman show called, The Spook Show. In 1983 she started touring her one-woman production of The Spook Showacross the Country. This show featured Goldberg's original comedy material and won the hearts of every audience she performed for. The production included the 17 characters that Goldberg created in Berkley including, "Little Girl," which was a young African American child who was obsessed with having long blonde hair. The little girl would wear a white skirt on her head imitating the hair of the white girls she would see on TV. This character portrayal brought to light the struggles young African American girls face with their identity. The show especially honed in on the influence American television has on children and their self-image as well. Despite the heavy message Goldberg constructed with her show, she was able to keep the audience charmed with her witty remarks and compelling performance. By 1984 Goldberg's production caught the eye of Director Mike Nicholas, who then brought The Spook Show to Broadway. The Spook Show eventually landed her a Grammy® for Best Comedy Album and was the start of her successful career in comedy. Goldberg faced many challenges on her journey to success. She repeatedly did what was not expected of her as a comedienne. Not only did her debut in The Spook Show lead her to bigger roles in Hollywood, it created a lasting impression on the comedy community as one of the best shows of all time. Goldberg can be described as an amazing satirist with a cutting edge and remains the only African American woman to be an EGOT, Emmy®, Grammy®, Oscar®, and Tony® award, winner. She became an inspiration and voice for African American women in comedy and in Hollywood as a whole. 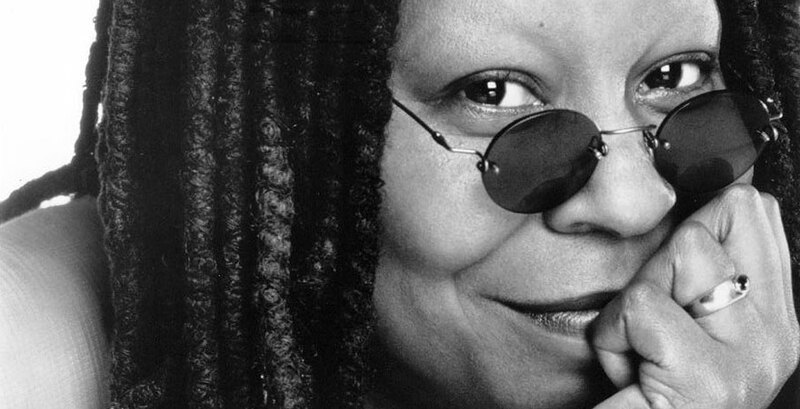 Whoopi Goldberg is known for her distinctive point of view and inimitable comedic style. It's no wonder people are excited to see her November 16 at State Theatre New Jersey!